Flash ,CSS, html and various CMS and blogging software, opened up a new world for many print designers, taking graphics to a new level and immediate interactivity. In the early 2000’s, flash was a new technology and WordPress was primarily a blogging software. Now, flash has been replaced with more CSS3 and HTML5, device-friendly programming and WordPress has become one of the most common, if deeply flawed, platforms to build robust web sites (blogging or not). 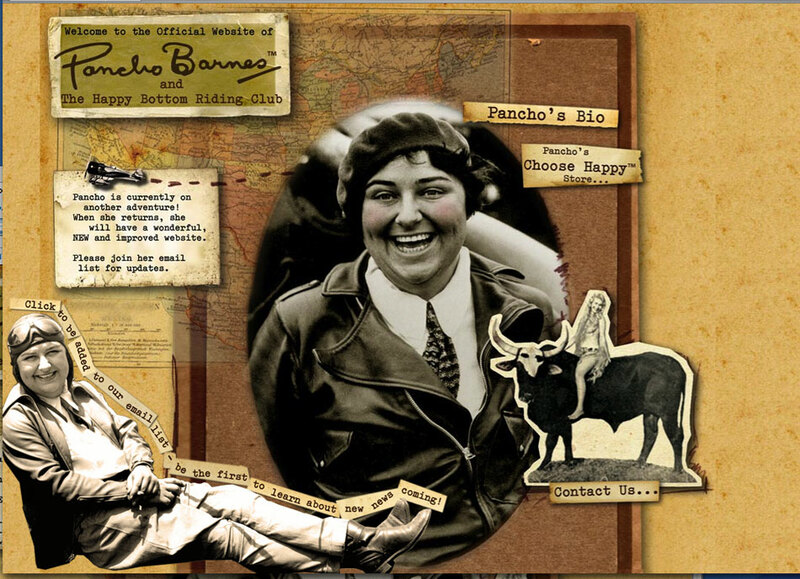 Web site for famous Aviatrix, Pancho Barnes: live site mock-up here.